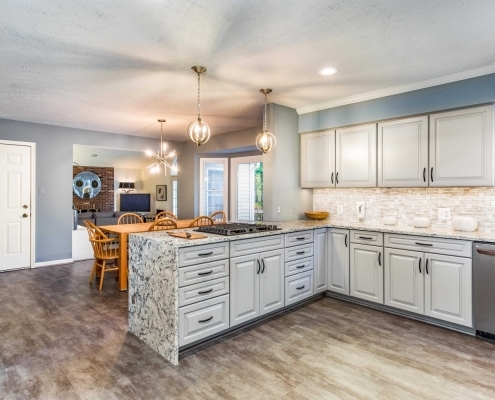 If you ever watch the home improvement shows on television, you might have the idea that there is only ONE acceptable surface for countertops—granite. 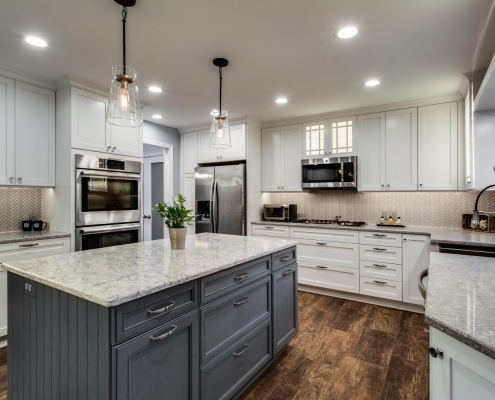 The television use of granite makes sense; granite countertops are extremely popular among homeowners and new buyers, so they are an excellent choice. However, many other options are beautiful and functional too. 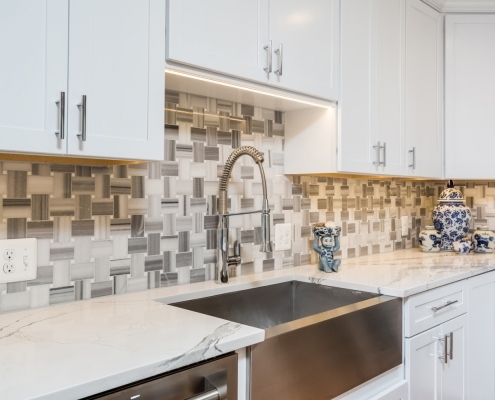 We’ve put together a list of just a few of the alternate surfaces that you can choose from when you are replacing your countertops. By considering all possibilities, you will rest assured that your room has a personal touch. 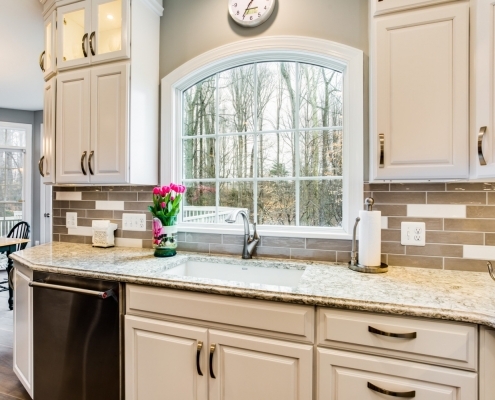 Today’s engineered quartz countertops are extremely low maintenance, resist staining, scratching and other damage. Additionally, they do not need to be sealed. Quartz is available in many colors and patterns—making them very attractive. These are the most budget friendly option, of course. However, today’s laminate counters come in designs and styles that are attractive and appealing even in high-end kitchens. 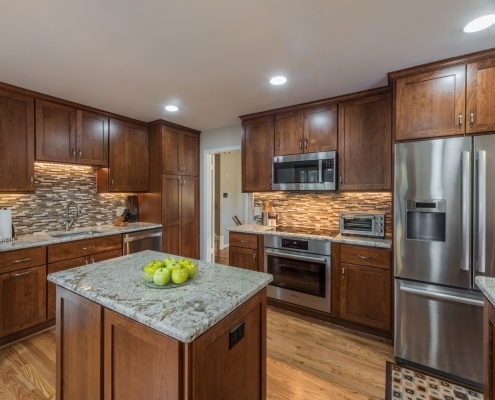 Decorative and functional, wood countertops are a unique choice. They are heat resistant, but they will need to be properly sealed to make sure they are safe for use when preparing food on the surface. 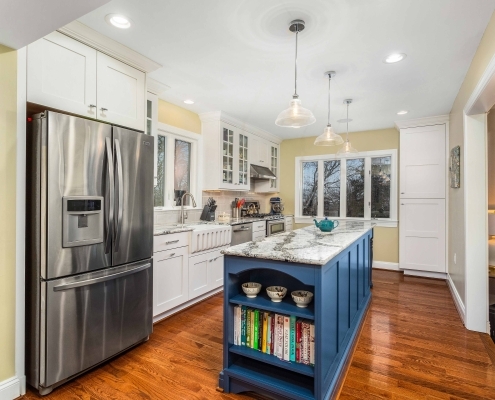 Marble can be expensive, but no surface offers a more timeless appeal. Additionally, marble hides stains and damage in a way that other surfaces do not. Like granite, it will be necessary to seal marble countertops regularly to keep them in good condition. 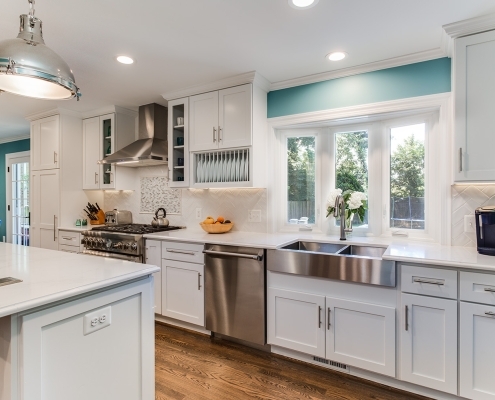 Granite countertops come in both traditional (shiny) and honed (matte) looks. With two options, this means that no matter what your style you can find one that will work in your kitchen. The honed granite is unique when compared to “standard” granite, making it an excellent choice for those who want something a bit different. This attractive surface naturally fights bacteria growth, plus the countertops are very easy to clean with just soap and water. 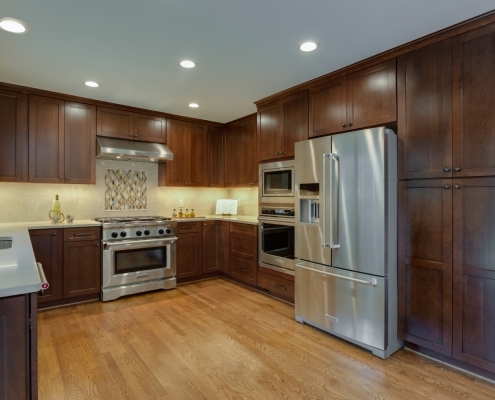 Stainless steel is one of the most recognizable materials on earth—and gives your kitchen a truly one-of-a-kind look. If you are all about “being green,” one of the recycled countertop options today may be just what you’ve been looking for. 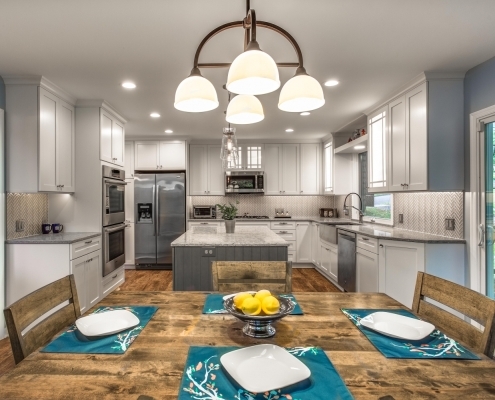 These countertops are made of pre and post-consumer products; choosing recycled countertops keeps products out of the landfill and reduces your overall carbon footprint. 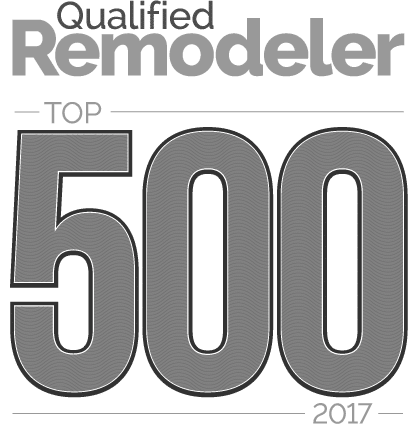 If you would like to learn more about any of the surfaces we covered above, or you would like guidance on any other options, contact us at Foster Remodeling. 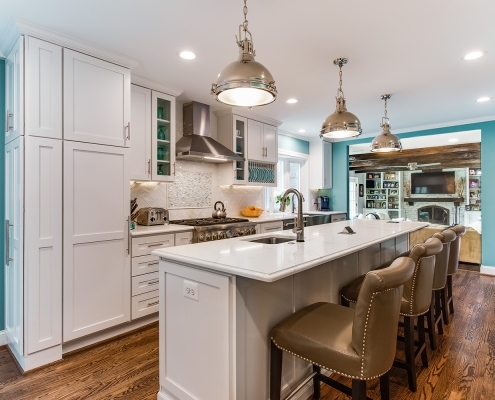 We are your resource for new countertops and kitchen makeovers of all kinds in the Northern Virginia and Washington DC area. Our kitchen experts are excited to work with you!